With the recent revamp of our websites, we are now looking to integrate membership and rewards tracking a part of our online booking system! For customers with Platinum or Black memberships, you will be able to enjoy the existing entitlements guaranteed to you, until the expiry of your membership as stated in your Account page. As customers with Gold memberships currently have no entitlements other than the ability to accrue Neko-yen, all old Gold memberships will be terminated. At the same time, Neko-yen will no longer be credited to accounts when placing a reservation. This is unfortunately due to a limitation of our new backend booking system. 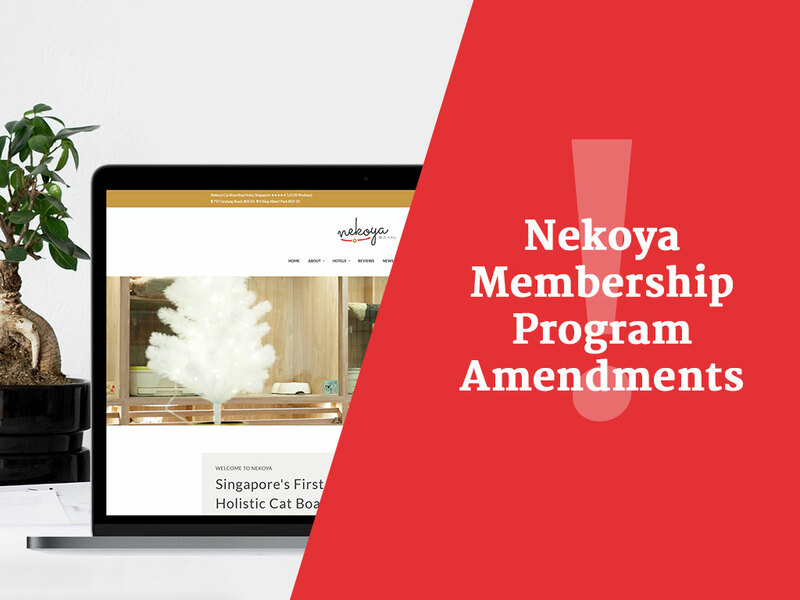 Thus, in accordance with the existing Neko-yen redemption rate, most affected customers with Neko-yen in their accounts will be provided with a complimentary voucher worth $39 for use on their next booking with the Nekoya Cat Hotel. Please contact our concierge prior to making your next booking so that we may make personal arrangements for payment of your reservation! VIP customers with $39 and above worth of Neko-yen in credits will be contacted personally by our master caretakers between the 1st and 10th of September to guide you through this transition. On behalf of the Nekoya Cat Hotel, we thank you for your patronage and look forward to serving you again on your next overseas trip!